The thin-skinned Reedus was apparently lavished with loving bicuspid attention at a convention last year, eventually hopping on Instagram to say “please don’t,” as though being on a show about people being eaten by zombies somehow doesn’t make it completely okay for folks to try to wolf down a chunk of his arm. Williams, meanwhile—who honestly should just be honored that fans want to recreate his final moments on the show—apparently had a similar occurrence happen recently, according to an interview he did with TV Guide. “I just did not see it coming,” the would-be Mouth King told interviewers. “They went in for a hug, and bit me on a shoulder.” (Williams’ account, of course, fails to note how biting celebrities is completely rational and regular behavior, in no way marking someone out as a psychopath or dangerous feral child.) Then he got scoldy, talking down to the loyal fans who only wanted to show their love. “Keep your teeth to yourself,” he mandated, with the cold dispassion of a man who’s never seen a celebrity from the tee-vee, and just needed to get a bite. 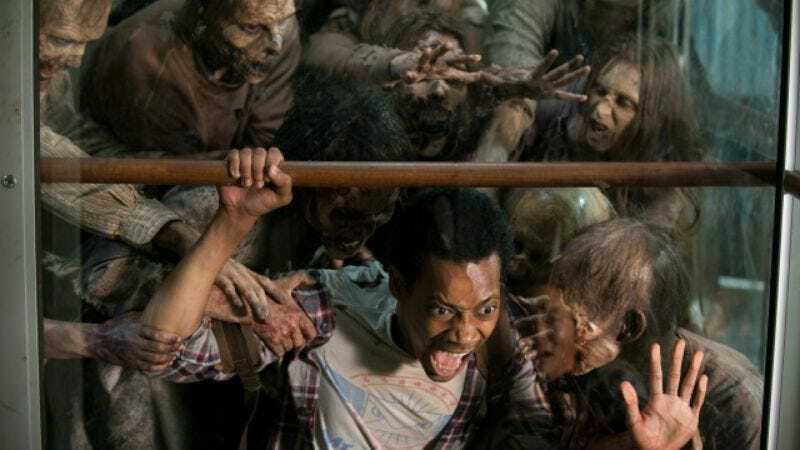 Our sympathies go out to the Walking Dead fan community, as well as their attendant dentists and lawyers, as they struggle through this time of strife.